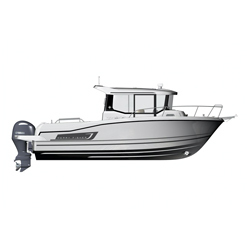 Described as the ‘Crossover Model of the Seas’ the Marlin range is as versatile a fishing boat as you will find. 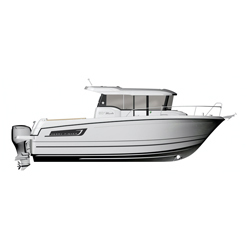 Merry Fisher Marlin models are characterised by an inverted windscreen and a walk-around deck plan. Safety, performance and featuring simplified handling are the watchwords of this line, with an deep side decks, a proven hull and an outboard engine. This line features an adventurous contemporary design.